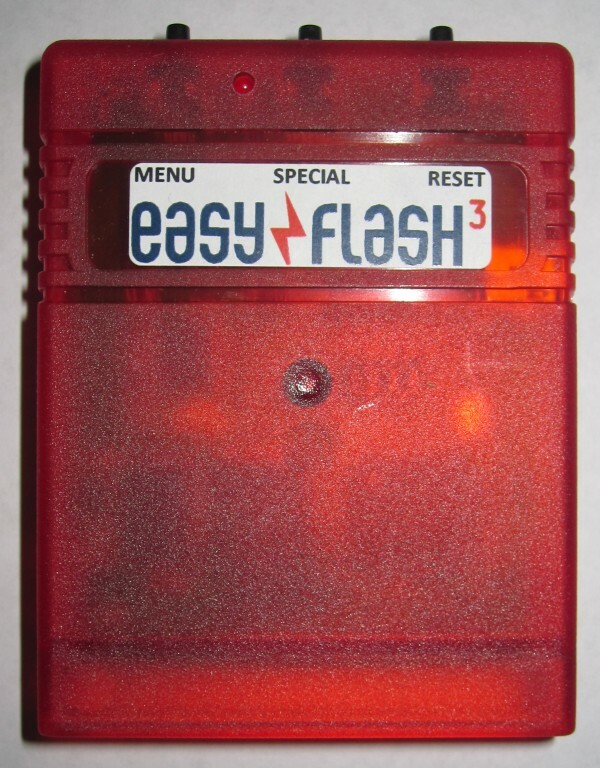 EasyFlash 3 combines the functionality and ease of use provided by the original EasyFlash with the power of a KERNAL replacement. The unit traces its roots to discussions outlining the need for an external Commodore KERNAL replacement cartridge. Such a device would allow owners of machines with soldered KERNAL ROMs to effectively replace those ROMs by using this external cartridge. It would also eliminate opening a vintage machine and permanently replacing ICs. Previous external cartridge solutions required opening a machine and attaching wires to the printed circuit board, a complex and often troubling exercise for computer owners. 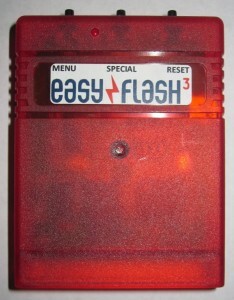 EasyFlash 3 no longer requires internal wiring, and can be disable simply by removing the cartridge from the expansion port. Along the way, EF3 grew to included EasyFlash functionality, since the two projects require similar technologies. Thus, EF3 owners receive two solutions for the price of one. Designed by Thomas ‘skoe’ Giesel using contemporary technologies, EF3 offers the ability to softselect 1 of 8 KERNAL ROMs and 7 GAME cartridge ROMs stored in onboard nonvolatile FLASH storage. Units are available for order now. How do reflash the unit back to standard?